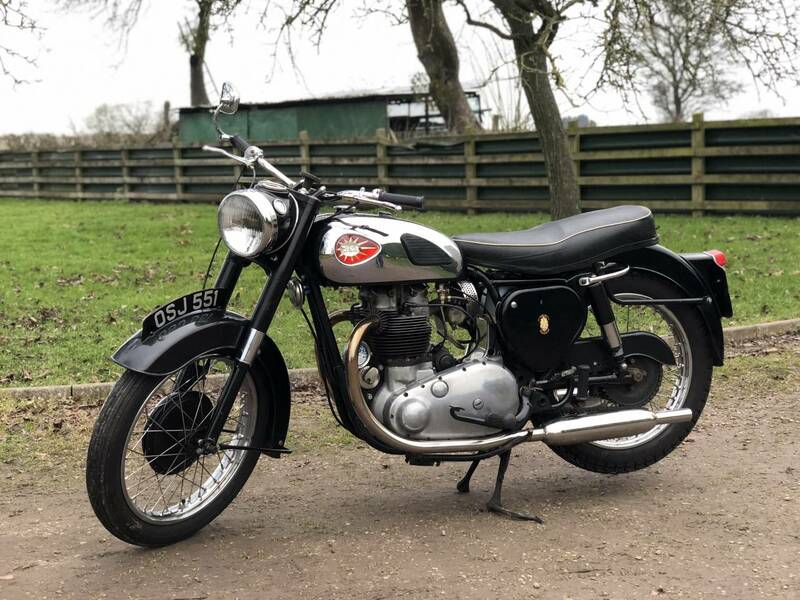 BSA A10 Gold Flash 1959 650cc. Looks Presentable , In Ride Or Restore Condition , With The Pretty Chrome And Black Tank . Last Long Term Owner For Over 40 Years ! Well Cared For And Used Regularly , With Good History . 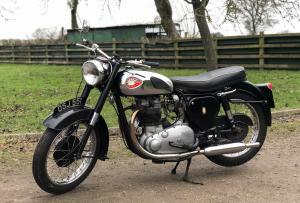 In His Ownership , The Wheels Were Rebuilt Years Ago , But Are Now Tired ; A Full SS Exhaust System Is Fitted ; Mag Rebuilt ; Alloy Rocket Cylinder Head Fitted , With Hard Seats For Unleaded Petrol ; Electronic Regulator Fitted ; New Wiring . Easy Starter And Good Runner , With Patina Of Age . Downside ; A Tapping Noise Started 3 Years Ago ( Very Likely A Little End ) But Hasn't Got Worse And Doesn't Effect Its Running ! 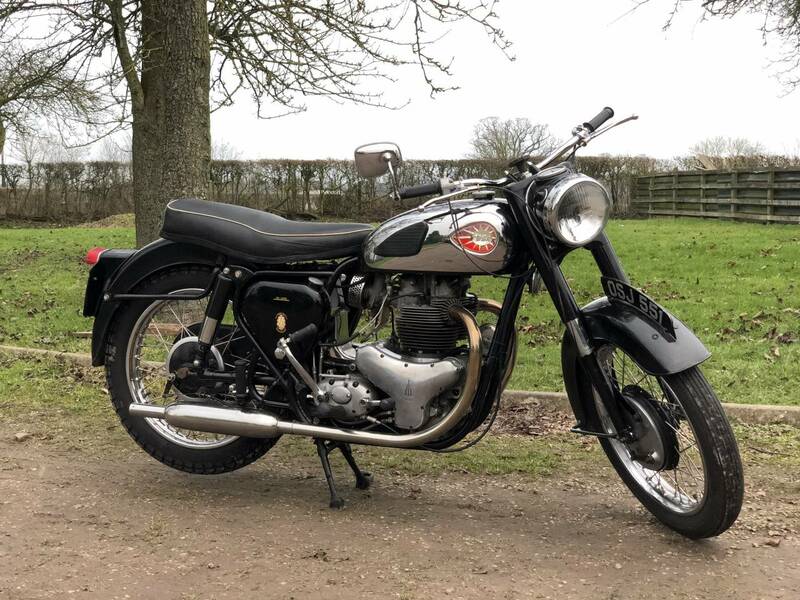 ( If We Get Time , We Will Repair It )But Currently On Offer " As Is " Tax And Mot Exempt .l Transferrable Valuable Original Number .